Psychometric tests are often used as part of the recruitment process and are a way for employers to assess your intelligence, skills and personality. Recruiters use the results from these tests to determine whether you would be a suitable match for the company to which you are applying. The tests are structured to accurately evaluate your capacity to work with others, process information and cope with the stresses of the job. The vast majority of psychometric tests are now taken online, though very occasionally an employer may use a paper test. Psychometric tests are by no means a new concept; they have been used since the early 20th century, when they were originally used only for the purposes of educational psychology. It was in 1905 that Alfred Binet introduced the first 'intelligence test'. They have since evolved to become a common feature of the selection process - particularly within large, competitive organisations, which prefer these types of test as they can assess each candidate on their acquired skills rather than educational background. They are proven to be reliable indicators of future job performance. Immediately before or after your actual interview. What do Psychometric Tests Measure? The term 'psychometric' is coined from the Greek words for mental and measurement. There are three main areas that the tests explore: your capabilities, aptitude for the job, and to determine whether your personality fits in with the vision of the organisation you are hoping to join. Essentially, the tests are looking to evaluate your intelligence, aptitude and personality, as well as how you handle pressure and your working style. Psychometric tests are designed to measure your capability, aptitude and personality. What are the Different Types of Psychometric Test? As explained further below, there are essentially three categories: aptitude tests, skills tests and personality tests. Let's examine each in turn. Numerical reasoning test. Used to identify how you interpret data, often via a combination of written and statistical information presented in reports, graphs or charts. This can also be used to assess basic mathematical abilities. Try a free sample test below. Verbal reasoning test. Used as a way to determine your ability to evaluate detailed written information so as to make an informed decision. Try a free sample test below. Inductive reasoning test. These require you to identify trends or patterns, typically using diagrammatic information. Try a free sample test below. Diagrammatic reasoning test. These assess your capacity for logical reasoning, using flowcharts and diagrams. Try a free sample test below. The type of test that you will have to undertake will be determined by the job type and sector. For example, inductive or logical reasoning assessments are used to evaluate candidates applying for jobs in science, IT or other roles where advanced technical skills may be needed. These tests usually comprise of multiple-choice questions and a specified time frame in which to complete them. Inductive testing can result in the identification of new solutions and strategies to solve the issue, which is why these types of tests are used in many firms who specialise in technological innovation. As with any type of recruitment related test, it is always recommended that you familiarise yourself with the process so that you know what to expect and are adequately prepared. Psychometric tests are quite formal and impersonal but there are many ways in which you can practice and prepare. As well as our own aptitude tests, WikiJob recommends the psychometric tests available from JobTestPrep. WikiJob also has a psychometric tests app, available for both Apple and Android, which includes 10 numerical tests and 8 verbal tests. The tests include a timer and worked solutions at the end. Employers look at many factors during the recruitment process, from your knowledge and experience through to your aptitude in areas such as decision making and teamwork. Increasingly, they will use personality tests as a way to determine if you have the right attitude and personality to fit in with the company’s culture and vision. Myers Briggs is one of the most commonly used personality tests. After progressing through a series of questions about how you would feel or act in a given scenario, you will be assigned to one of sixteen personality types based on your responses. Employers then review this personality type to see if you would fit in with their organisational values. There is rarely a time limit, as they are looking for you to answer the questions honestly (though it's worth having a sense of the job description and the employer needs in the back of your head as you go along). Practising similar aptitude tests beforehand is likely to improve your performance in the real tests. As such, try to become more familiar with the types of test you may face by completing practice questions. Even basic word and number puzzles may help you become familiar with the comprehension and arithmetic aspects of some tests. WikiJob recommends practising aptitude tests prior to the real assessment. JobTestPrep offers a wide range of professionally constructed psychometric questions, structured in a professional format, just like the real thing. Treat aptitude tests like an interview: get plenty of rest and sleep, plan your journey to the test site, and arrive on time and appropriately dressed. Listen to (or read) the instructions you are given and follow them precisely. Before the actual aptitude test itself, you will almost certainly be given practice examples to try. Make sure you ask questions if anything is unclear at this stage. You will normally be given some paper on which to make rough workings. Often you can be asked to hand these in with the test, but typically they do not form part of the assessment. You should work quickly and accurately through the test. Don’t get stuck on any particular question: should you have any problems, return to it at the end of the test. You should divide your time per question as accurately as you can - typically this will be between 50 and 90 seconds per question. Remember that the tests are difficult and often you will not be expected to answer all the questions. Be particularly cautious if the aptitude test uses negative marking; if this is not the case, answer as many questions as possible in the time given. 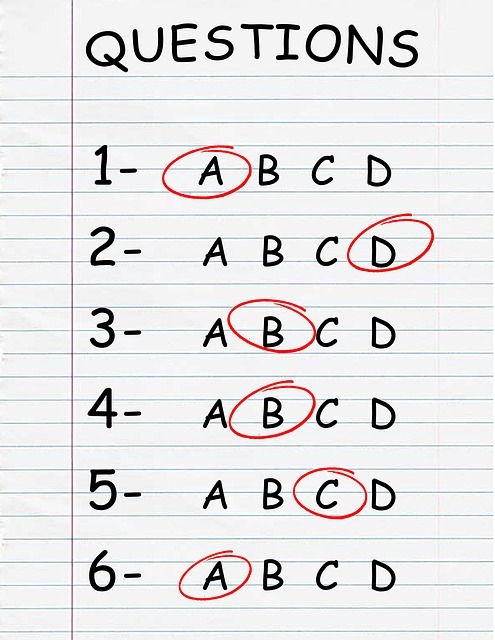 Remember that multiple-choice options are often designed to mislead you, with incorrect choices including common mistakes that candidates make. Watch JobTestPrep's video on why you should prepare for a psychometric test. Take Six Free Practice Aptitude Tests Right Now! If you would like to practise simulation aptitude tests, please try the six ones below, which were created by WikiJob and JobTestPrep in association with psychometric experts, and which are closely modelled on real tests. The numerical, Watson Glaser and inductive tests consists of 10 questions to be answered in 10 minutes, while the diagrammatic, situational judgement and verbal tests consist of 5/10 questions to be answered in 5 minutes (although there is no timer on the test itself). Our tests are slightly harder than the real thing, in order to make them sufficiently challenging practice. Don't forget to first check out the test tips and techniques mentioned further down this page. You can take the tests as many times as you like. Click the 'Take test' link below on either to get started. Verbal reasoning tests are used by interviewers to find out how well a candidate can assess verbal logic. SHL is perhaps the most well known producer of verbal reasoning tests, and the most widely used. Diagrammatic reasoning tests assess your capacity for logical reasoning, using flowcharts and diagrams. Try these five practice questions, designed to be similar to those used by major graduate employers. Try this inductive reasoning test, designed to find your ability to see patterns and consistencies in data, and to work flexibly with unfamiliar information. How should you prepare for a psychometric test? Watch this video for some insights. Above all, be yourself, take your time and answer the questions honestly. Approach the tests logically and try to prepare as much as you can before you take them. As well as our own aptitude tests, WikiJob recommends the practice tests available from JobTestPrep.